Here at GMD we’ve got a huge selection of stunning cocktail dresses available to you at the click of a button! Style enthusiast and self confessed shopaholic blogger Hannah Louise has a lot on her plate – yet she somehow finds time in her busy schedule studying law to blog about her fashion loves and loathes. 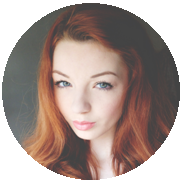 Here, Hannah talks us through her top 5 cocktail dresses to hire from Girl Meets Dress. We’ve got some great cocktail party dresses – perfect for any occasion! I chose this cocktail dress because…how could I not?! 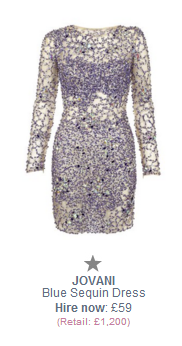 It’s a visual definition of ‘show stopping’, and amazing value at as little as £59 to wear a £1200 dress. At £109 this D&G dress is one of the more expensive dresses to hire but it is such a perfect shape and the monochrome stripes are bang on trend, so I think the right event could definitely warrant splashing out a little. No-one does Fairy Princess better than Alice + Olivia! This cocktail dress would be perfect for almost any event, is a super flattering shape and I can’t resist a bit of sparkle. At £1330 RRP this is a dress I will definitely not be able to afford for quite a few years (or ever), so it makes it the perfect candidate to hire out for an event. It’s another real show-stopper and would be ideal for a birthday night out or big party. It was a toss-up between another two Alice + Olivia dresses for my fifth choice, but this one just about wins it. It’s so elegant, I’d love to wear this black cocktail dress to a classy Christmas party. Posted July 24th, 2013 in Uncategorized. Tagged: Alice + Olivia, best picks, blogger, cocktail dresses, dolce & gobbana, hannah louise, Herve Leger, hire cocktail dress, jovani, rent cocktail dress.